And he’s right. Back when we used to golf together, we spent money on lessons and clubs and greens fees every time we went out. If you are running, you at least need a pair of shoes and something to wear. If you are reading, you can hit the library and borrow, but new books cost money. It seems like some hobbies are more of an upfront investment. Some are an ongoing expense. Blogging would be an ongoing expense. Is that why I’m balking? Knowing that the monthly fees would come no matter how much I posted? Is it just the comparison to my current blogging expenses? Right now, it isn’t free. I did a WordPress upgrade and got my domain name. But it is cheaper than it would be with added bells and whistles. I mostly just invest my time. Or am I more susceptible to the I’m-not-making-money-so-I-shouldn’t-be-spending-money line of thinking than I thought? I thought I had a handle on this. There have been times in our marriage when I made decent money. There have been times when I made no money. But we treat money like it is our money, and I don’t feel like I don’t have money if I didn’t earn it. BUT. For whatever reason, I feel a little guilty spending money on what is currently my hobby. The roll out may be slow, but I suspect you will see some upgrades around these parts. Regardless of when or what, one thing has become clear to me. This will never be a travel blog. If anyone is coming to Rome or Italy and is helped by our travels, I’ll be thrilled. But that isn’t really who I’m writing for. I don’t write with enough specificity or poetic description or gorgeous pics to really help people on their Roman holiday. I want to write for the people who want to shake something up. Maybe something big like moving across the world or something closer to home like changing the way they eat or living with less or training for a marathon. I want to write for the people who are looking to add a little adventure. I’m not completely sure what that looks like, but I know posts about Puglia probably aren’t the most helpful for them. You’ll still see things here about Rome. And travel. And some posts still might read a bit travel-y. You may see fewer photos. I’ve enjoyed learning a bit about photo editing, and I love a good pic, but I want to spend more time writing. Because that is what my hobby is really all about anyway. Being weird on the internet. Can you think of any totally free hobbies? I mean even walking needs shoes. OK, you COULD walk without shoes, but I wouldn’t recommend it. At least in Rome anyway. What’s your hobby? Do you ever feel guilty spending money on it? People always ask me why I’d spend money on blogging, and I have the exact same response – it’s a hobby, and hobbies cost money. Just because it isn’t something everyone does or consider a hobby, doesn’t mean it’s that much different from doing a sport or something similar. I honestly can’t think of a free hobby, because everything needs materials or fees to be paid! Meditation? (But most people need a prompt/guide for that, too.) It’s true..there’s a cost to everything. 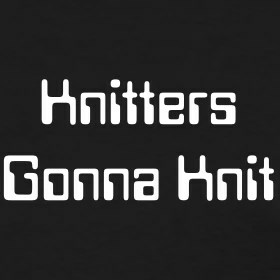 Knitting is indeed a hobby that costs money, but it’s fairly easy to justify. For example, I recently spent ~$200 on yarn for an afghan (a big afghan). That’s kind of a lot, but it was a gift. I would have probably spent $100 on the gift if I had chosen something different, so already the portion of my knitting costs that would be classified as recreation in my budget is down to $100. It took me about 160 hours of knitting time to finish this beast, so we’re talking about less than $1/hour in recreation costs. In that same time, I could have gone to 80 matinee movies for a cost of $850.50. Or I could have run 640 miles. The internet tells me that I’d need at least two pairs of shoes for that mileage. It’s easy to spend $80 on a mediocre pair of sneakers, and when you factor in several trips to the orthopedist, that one is going to blow knitting right out of the water. Or I could have read about 13 books for around $120 given that I’m wholly dependent on my Kindle and not so dedicated to the library lately. So you see, in the end, my expensive hobby is actually quite cheap. I’m sure you could make the same kind of argument for blogging expenses. That’s one of the ways I justify book money. The hourly cost is usually quite low. I should think about that for blogging. Is 160 hours more or less than the fish afghan? It is exactly the fish afghan. If you join a local garden club (I don’t think our local club has any fees), you can learn a lot from veteran gardeners and spend almost nothing for plants! They will love sharing their extra flowers with you! Good to know! I love having plants, but both my thumbs are black.